When Amazon opened their door in 1994, Jeff Bezos and his wife were selling books out of their garage. They transformed their business from a fledgling enterprise into the global empire that Amazon is today. What steps were taken to ensure their success? Well, there are many. You can find some of them in Amazon’s leadership principles. One thing that has continuously driven Amazon forward is their focus on customer demands and desires. The process began in 1999 with the introduction of one-click purchasing: allowing customers to enter and save their shipping and payment information for future purchases. This revolutionary feature placed them at the forefront of the personalized shopping experience that is so prevalent today. Amazon furthered retail personalization in 2010 by recommending products to customers. Since then, they’ve added more features like Ask (you probably know it as the Customer Questions & Answers section) and Frequently Bought Together. Their work is paying off: Amazon claims that 35% of their sales come from these recommendations. Customers seem to like it, too, with 56% of them being more likely to return to a website that has personal recommendations. Imagine if every time you walked into your favorite retailer, they presented you with options in your size based on your previous purchases or even items you indicated you liked. When a customer logs into Amazon and visits sections like Recommended for You, Top Picks, and Interesting Finds, or voice shops via Alexa, this is what they experience. Amazon is driven by customer actions. Amazon uses Deep Learning to determine which products a shopper is likely to purchase next. This technology takes into account the items customers have viewed, rated, reviewed, and bought, and uses that information to inform the Amazon search algorithm. Customer search helps determine where and when products show up on the site, and the purchases made from these searches lead to a more tailored shopping experience. The way the Amazon search bar functions is a direct reflection of customer behavior. And it is geared to steer a customer towards the most frequently bought products. The more letters you have to type for a product to appear in the search bar, the less popular it is. As a seller, this information can help you reveal product trends and gauge demand. 2. If you add the letter g, “igloo dog house” is the top result. While you don’t get the exact number for how many times customers search for a term you do get a good idea of popularity. iPhone charger is more popular than igloo cooler replacement parts, which is more popular than iguana stuffed animal. You can also use this exercise to double-check your keywords and ensure that you’re using high-converting, relevant keywords in your listing and PPC campaigns. Product recommendations help drive Amazon sales. Amazon’s suggested products, top lists and curated categories provide customer's with product recommendations to help guide their shopping experience. These sections are determined by the top-ranking purchases and can provide a wealth of information on shopper behavior. While these are pay-per-click advertisements, it’s also Amazon giving you a peek behind their algorithm curtain. You’re able to see which listings they believe are direct competitors with yours, utilizing similar keywords and targeting the same audiences. These are listings you should take a closer look at or even run through an ASIN lookup tool to gain insight into their keyword strategy. These are items that people are already interested in and, according to Amazon, frequently buy together. Combining these items into a bundle in one listing can distinguish your product from others by providing more value for a customer. This section can also provide new product ideas that work well with your existing inventory. These product lists are all informed by customer purchase data. They can help you identify new products, trends, and the best practices of successful (competitor) listings. Amazon Best Sellers: This is one of the most fluid lists on Amazon. Units sold within the hour determine Best Seller ranking, so Amazon updates this list hourly. However, studying this list over an extended period of time can give you insight into which sellers perform well consistently. Amazon Hot New Releases: This is another list that Amazon updates each hour. Here you can find newly launched products that are performing well. Be careful when perusing this list: while these products are performing well at the moment, that growth might not continue over time. Amazon Movers & Shakers: While Hot New Releases focuses on new products, this list features products that have gained the most sales in the past 24 hours. If you’re using this list for product research, check it periodically to ensure a product can sustain growth. Amazon Most Wished For: These are the items people add to their Amazon Wishlists. It’s a good indication of what they would like to purchase. Study these listings to see if you can solve existing problems or reduce the price. These changes could move a product from Wishlist to cart. This list is updated daily. Amazon Gift Ideas: How you ever added a gift receipt or message to an Amazon purchase? Those actions populate this list of popular gifts. Keep in mind that this list only reflects the purchases Amazon knows are gifts. Even with that limitation, you can still learn about which products are selling well on this daily list. Interesting Finds: This Pinterest-like section allows customers to “heart” individual products from categories curated by Amazon employees. Each time a customer loves an object or store, their shopping experience becomes more personalized with similar product suggestions in Recommended For You. As a seller, this section can help you keep an eye on trends and provide ideas for unique new products. Top Picks: For each category, Amazon curates a Top Picks page. This section is filled with items that are popular or trending across Amazon. Many of them have earned the coveted Best Seller badge. You can learn more about these products by reading reviews and using our ASIN Plus tool to gain insight into their keyword strategy, so you can emulate their success. Amazon uses the same technology to recommend products to shoppers and to make recommendations directly to sellers like you. The Seller Central homepage has a widget titled Amazon Selling Coach. Both the Growth and Fulfillment tabs contain products tailored for your Amazon storefront. Amazon also uses this technology to alert you when your inventory is running low and recommends when you should send in more product. Customer reviews impact what products customers see in search. Customer reviews are a fundamental component of Amazon's personalized shopping platform. This seems like common sense nowadays, as 82% of shoppers read online reviews when deciding to make a purchase. 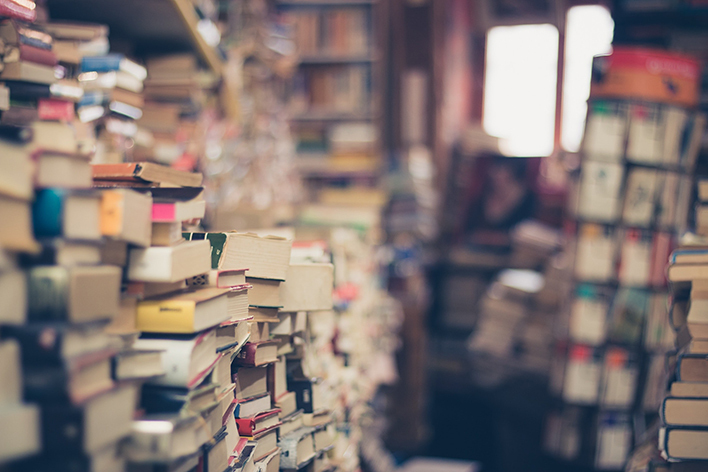 Amazon provides several resources for customers (and sellers) to improve their shopping experience, and an essential part of researching and building your own Amazon business is reading reviews. There’s a wealth of information available through customer feedback. As a seller, you can use this information to reveal highly useful intel on your product, your listing, and your customer base. Reviews are the first place customers will go if they’re thrilled with a product or especially disappointed. While five stars are more exciting than one-star reviews, both are useful. Positive reviews let you know what aspects of your product customers like, while negative reviews show you how you can improve. While it might initially be expensive to fix a problem with your product, it will pay off in the long run. Amazon takes reviews into account when determining where your listing appears in the search results. Having more positive reviews can improve your search ranking. Reviews can also provide you with alternative uses for your product you hadn’t considered, and this is excellent information to add to your listings and use for advertising and marketing campaigns. Make sure you also read the reviews on your competitor’s listings and similar products. They can contain relevant information about favorite features and use cases as well. Your customers will always be your best source of information. Through their reviews, you can learn how they interpret your listing and what words they use to describe your product. This can tell you where you’re communicating well with customers and where there’s room for improvement. By using additional phrases from customers in your listing and ad campaigns, you’ll draw in new shoppers using their own words and opinions! Quality images are an essential part of your listing and can help address customer questions and concerns. Follow Amazon guidelines for your product photos and include lifestyle photos that showcase the different uses for your product. Lifestyle images can also highlight a product’s size and scale. And infographics can be useful if your product requires additional clarification. If you’re a brand registered Amazon seller with access to Enhanced Brand Content you may be eligible you add video to your listing. Video can expound on a product’s details and uses. A customer profile accompanies every customer review and shows you basic information about the customer such as their profession and location. 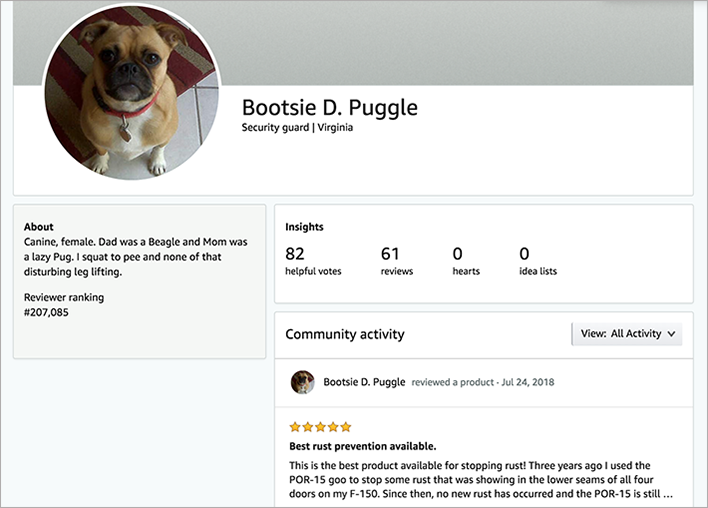 You can also view the other products they have reviewed and purchased, and how frequently each review was voted as helpful. This data can provide further insight into your target customer base and reveal potential marketing opportunities. As a trailblazer in customization where is Amazon looking next? 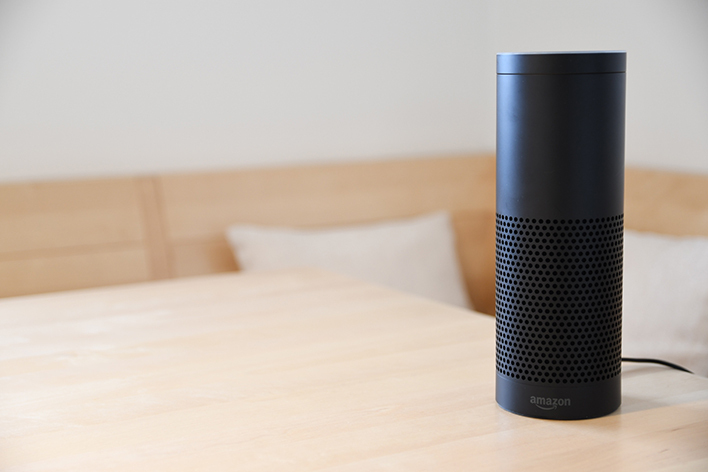 One product ripe for personalized content is Amazon Echo and its virtual assistant, Alexa. 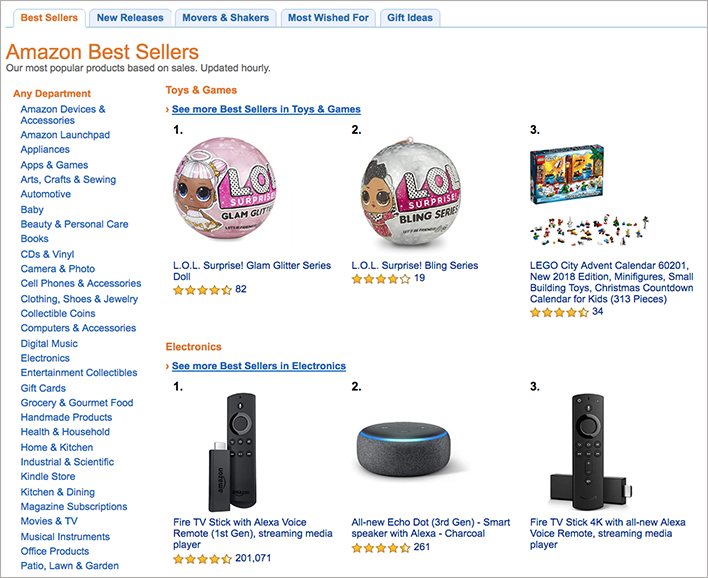 As Amazon customers rely more on voice shopping, badges like Best Seller and Amazon’s Choice will become more critical. Products with this designation (along with Amazon’s own private label products) are what Alexa “recommends” for voice purchases. And as more and more people use these smart speakers and devices, Amazon can introduce more Alexa skills and provide a more in-depth shopping experience. Since it launched in 2012, sellers have utilized Amazon’s Sponsored Advertising program to reach more customers. Now Amazon is expanding its advertising platform. Shoppers can currently see advertisements from companies and brands they may be interested in that do not sell on the site. Amazon also aims to build a personalized ad targeting program. This program will deliver advertisements to a variety of websites based on a customer's purchase history. An ad will “follow” a customer throughout their online experience. Of course, if clicked on, the ad will lead them back to Amazon. Amazon knows which ads convert to a purchase, who made the purchase, how much they paid, what they bought last, and what they may purchase next. While Facebook and Google maintain the majority of the advertising market share, this customer data makes Amazon a fierce competitor in the space. And this expanded advertising platform provides more touchpoints for sellers to engage with new and existing customers! Amazon will always be a customer-centric company, but that doesn’t mean that the changes it makes to help buyers (and its own business initiatives) can’t also help you as a seller. Personalization isn’t the only way Amazon has changed the way we shop. Check back each week as we continue our series on Amazon’s ongoing evolution of e-commerce and the retail industry. In our next article, we’ll take a look into how Amazon has impacted retail shipping and what their next move means for sellers.